This is the perfect gift for any pet lover. 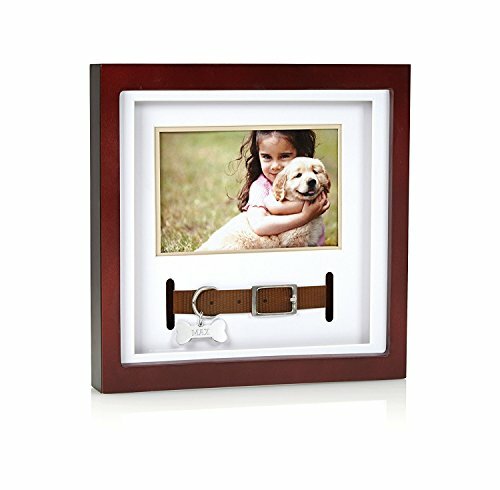 Display your pets collar with this great collar frame including a photo opening to display the best photo of your companion. Opening to display pet's photo and collar. Product Dimensions: 8" L x 8" W x 1.50" D.
4.5 x 3" photo insert.